Everyone worries about the costs associated with divorce. After all, the average California divorce costs $30,000 ($15,000 per party). But what everyone doesn’t realize is that most of the time, you have a lot of power to ensure your divorce costs way less than that. Sure, you can’t control everything about this process. You can’t control your ex, who may or may not drag his or her feet. You can’t control court dates. You can only control yourself. But controlling yourself still has a lot of potential to make your divorce less expensive. 1. 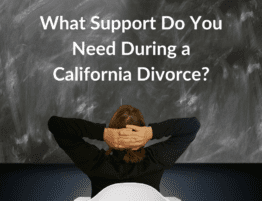 Educate yourself about California divorce law. No, you’re not going to become a divorce attorney with a few internet searches. That’s the mistake people make when they decide they want to have a DIY divorce. What you can do is understand what the court is likely to do if you end up taking the case all the way to trial. You can do this by reading up on our blog, by talking to us about your situation, and by looking at some of the guidelines judges follow when they make decisions about marital debts, assets, spousal support, child support, and child custody. If you know, for example, that you’re unlikely to get spousal support if you’ve got a great job and have only been married for 3 years, then you don’t need to bother fighting about it. And if you know a lot of people are getting behind the idea of ending alimony, in some cases, it just might not be worth it to pursue it at all. If it makes sense for you, then you can evaluate that and just mentally take it off the table and move on to issues are more likely to get you somewhere. 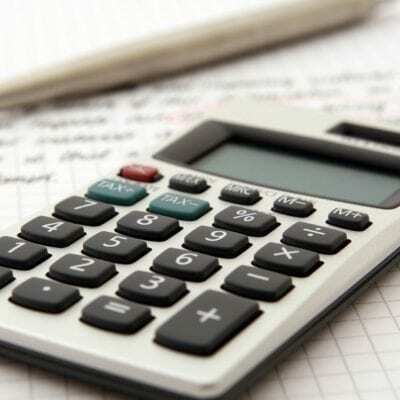 Any issue you can resolve through simple understanding can shave 10 to 20 hours of time off the process, which means 10 to 20 fewer billable hours you have to worry about paying for. See also: 5 Ways to Make Your Orange County Divorce Go Faster. 2. Gather all the necessary documentation before you meet with your attorney. Being prepared and organized takes a lot of work out of the process. 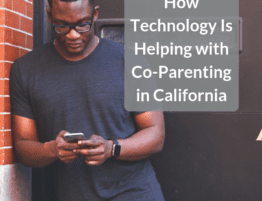 If you can gather your documents before you serve your spouse with divorce papers, or immediately after you’re served, you’re more likely to find everything you need to prevent the need for a discovery process later. It’s harder for your spouse to hide assets if you’ve already found everything. Statements for retirement accounts or investment accounts. Information about assets you own, such as the deed to your home or the title to your car. Insurance policies, including life and health. Information about debts you owe, including copies of all the bills. Information about the kids, including school and medical records. Copies of your regular monthly bills, like your utility bills. If you always “let your spouse handle this stuff” it’s time to get deeply acquainted with all of it. Take a deep dive into the family files. Make sure you’ve found absolutely everything, preferably before you leave the house if you’re planning on leaving the marital home. Put it all in a big folder and bring it with you to your first appointment. 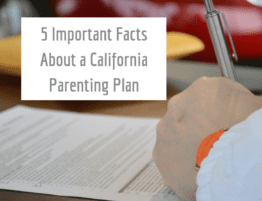 See also: 6 Facts Your California Divorce Lawyer Needs to Know. 3. Be mindful of the way you’re using your attorney’s time. We’re happy to answer your calls and talk to you at any time, of course. But the more organized and mindful you can be, the better. Dropping us a quick email with all your questions laid out in organized format, for example, might result in a quarter of a billable hour, whereas a long, rambling phone call could result in two. Be especially vigilant about avoiding conversations with your attorney that don’t pertain to your legal situation. It’s very common for clients to ramble off, spending time fuming about their ex’s antics or otherwise attempting to deal with their emotions. We’ve got all the compassion in the world for you, but we’re not really trained to help you process your emotions. We do highly suggest finding someone who is (see below). See also: Why You Need a Smart Litigation Strategy for Your Family Court Matter. 4. Come ready to negotiate. Divorces get expensive when they end up in court. They’re a lot less expensive when you and your spouse can work through your attorneys to come up with a reasonable settlement that benefits both of you. Obviously this advice shifts a little bit if you’re dealing with an abusive or dangerous ex. 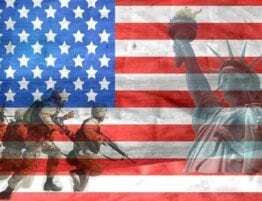 Those types often don’t want to negotiate, or want concessions you don’t want to give, and so you probably won’t be able to stay out of the court system. 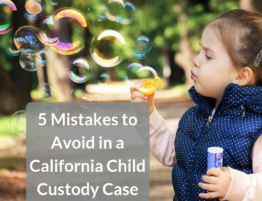 Then again if you know that you can tell your attorney right away that there’s no point in negotiating, that your #1 goal is keeping you and the children safe, and that you’re ready to proceed to court as quickly as possible. This will keep us from falling for it when a controlling spouse pretends to negotiate just to drag the process out, hoping to exhaust you and bully you into accepting a situation that’s less than ideal. See also: The Financial Mistakes to Avoid During Your California Divorce. 5. Keep your emotions under control. Your emotions are the biggest liability in your divorce case. Getting angry at your spouse could mean you end up fighting over an “heirloom” sideboard that wouldn’t sell for more than $25 at the local consignment shop…and spending $600 or more to do just that. Always weigh the cost of replacing that piece of property over fighting over that piece of property. Keep your eye on things that will actually impact your financial situation for better or worse in the future. And understand no judge is going to help you punish your spouse. That’s not what divorce is for, and the more you try to make it about that the more money you’ll spend for no reason at all. See also: Divorce in California. Got questions? Want to know more about how you can make your divorce run quickly, smoothly, and less expensively? Contact our office today.